A closer look at our complicated history against booze, and why it's high time we let more businesses serve it. By Amanda Hoover·	 12/18/2016, 6:30 a.m. Walk through Faneuil Hall, along Lansdowne Street around Fenway Park, or down Broadway in Southie on a Friday night, and a similar scene will likely play out: hordes of college students, Red Sox fans, and young professionals crowd the curbs, waiting in lines that sometimes snake 100 people deep to get into Boston’s most popular watering holes. Strips of bars, from classic pubs to tightly packed clubs to high-end restaurants, dot the densely populated streets, beckoning residents and tourists alike to join the lively atmosphere, even (and sometimes especially) in the coldest, snowiest of months, when everyone could use a drink to stay warm and be merry. But for every nightlife hotspot, there’s another place that dies down after dark. Bars and clubs exist in fewer numbers and farther apart in Boston’s outer neighborhoods, where business districts don’t have the same bustling nightlife that Back Bay, Beacon Hill, and Fenway boast. Take Mattapan for example. Here, residents can’t find a drink at a single sit-down restaurant. There are two venues where alcohol can be served: a veterans post, and a nightclub called Macumba Latina in Mattapan Square. Surrounded by banks, shoe stores, and fast-food restaurants, the neighborhood’s business district hardly has more alcohol options than during the dark, dry days of prohibition. How can Boston, saddled with the constraints of an 83-year-old law, live up to its reputation as a world-class city? Similar strips wind through sections of Dorchester, East Boston, Hyde Park, Jamaica Plain, and Mission Hill, but the climate doesn’t stem from a lack of need. Thanks to a decades-old law, the power to create new liquor licenses rests with state legislators rather than the city’s own lawmakers, and historically, Beacon Hill hasn’t been eager to raise the arbitrary caps it set on Boston. Today, there are 745 full liquor licenses in Boston, and 365 for malt and wine (including beer), for a total of 1,110, according to Mayor Marty Walsh’s office. That number is up only 130 overall from the original number allocated in 1933. In other words, not too much has changed in the last 83 years. Much like our lack of happy hour, modern Bostonians have post-prohibition Puritans to thank for our measly booze allowance. Old-school state legislators in the 1930s were distrustful and disapproving of a predominantly Irish city council, and worried that Boston might be too lax when it came to restricting the number of bars in the city’s limits. So Beacon Hill took jurisdiction over alcohol licensing, deciding they knew best about who should be pouring what drinks, and where, rather than putting the power in the hands of municipal officials throughout the Commonwealth. Boston, a city now full of young professionals, students, and walkable neighborhoods, is the biggest victim of the archaic state system. While any other municipality in the Commonwealth is allotted one on-premise license for every 1,000 residents and can request more as its population climbs, Boston isn’t privileged to such increases, and faces an arbitrary cap that legislators have upped only twice since 1933: once in 2006, and again in 2014. For decades, the city worked around the same number of licenses, watching as they shifted hands between shuttering businesses and new establishments through independently conducted purchases that could see the permits costing up to $450,000—a price tag high enough to block aspiring restaurateurs from setting up shop. With time, the city has grown and changed, and it’s not just the Boston Brahmins who are looking for cocktails and a dining scene. Sure, more drinking and dining options across the city would be great, but proponents of reform don’t only care about adding to the number of gin joints Bostonians can choose from. Putting alcohol on the menu has a way of putting a restaurant on the map, and the option of offering drinks alongside dinner can make or break a business. Neighborhoods become known and defined by the culture they offer, and attract distinct crowds who then call those sections of Boston home. As rents have spiked over the last decade, more people have opted to live in some of the city’s reviving neighborhoods rather than downtown apartments where constant access to lively food and nightlife scenes come with high prices. Meanwhile, a lack of affordable liquor licenses means business districts in certain areas can’t change rapidly. Fear of gentrification aside, the concept of “if you build it, they will come” can’t be ignored here, and supports the reasoning behind a need for liquor license reform in Boston. The result of Massachusetts’s old system is clear: a high concentration of trendy, pricey bars downtown, and a lack of neighborhood-run businesses in other areas—creating a system that concentrated wealth and culture into designated pockets of the city and left thousands without drinking options near their homes. Our problem isn’t a common one. In New York, Philadelphia, and Washington, D.C., bars, clubs, and restaurants of all varieties pack streets with a dizzying array of options for every occasion, budget, and taste. But in New York and Philly, where around-the-clock metro systems carry patrons to and from establishments and happy hour specials are readily available, residents haven’t had to fight the state for their right to party in the ways that Bostonians know too well. So how can Boston, saddled with the constraints of a more than 80-year-old law, live up to its reputation as a world-class city alongside its East Coast neighbors? Aside from an increase in Boston’s license allotment in 2006, all was quiet on the liquor front for years until reformers like Pressley splashed onto the scene. Arguing to state legislators that liquor licenses could be a tool for economic development in some of the city’s poorer neighborhoods, where local businesses run by minorities and women could thrive, Pressley introduced a home-rule petition, which would bring power back to city governments. Her movement saw success—with some caveats. Lawmakers on Beacon Hill granted Boston 75 new liquor licenses in 2014 to be divvied out over a three-year period. The licensing board could make no more than 25 available each year, and 60 of the batch were restricted, meaning they’d have to be awarded to establishments in the underserved neighborhoods such as Dorchester, East Boston, Hyde Park, Jamaica Plain, Mattapan, Mission Hill, and Roxbury, where Pressley and several other councilors wanted to see them most. That might not seem like a big move on the state’s part, but it set the stage for change. Now, the city’s licenses break down into two types: restricted and unrestricted. Restricted licenses are leased by, rather than purchased from, the city, and must stay within the bounds of a neighborhood. 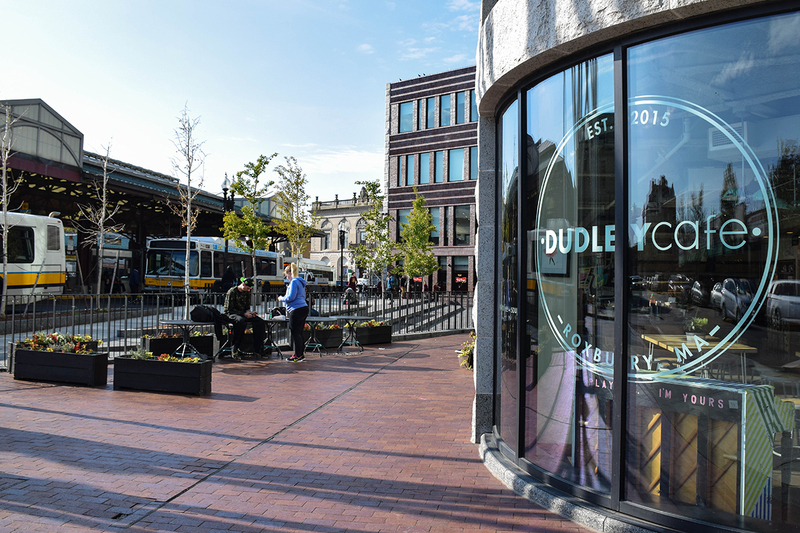 Dudley Cafe was the first recipient of one of these licenses bound to Dudley Square last year, bringing beer and wine to a gleaming, but quaint, space in the heart of Roxbury’s business district. 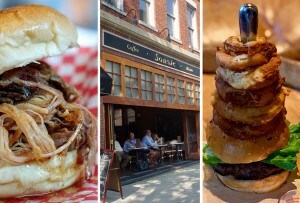 When the cafe owners applied for the license, they paid a fee of a few thousand dollars. Now, they’re serving coffee, pastries, and sandwiches during the day before switching to rice bowls and Mexican-inspired dishes and drinks at night—creating a dining option and atmosphere no one has previously offered in Dudley Square. Should Dudley Cafe close its doors for good at any point, the license will default back to the city, which will then grant it to another business interested in serving alcohol in Roxbury. That makes it impossible for the neighborhood to cede the asset to a restaurant in Back Bay, keeping the commodity in the neighborhood and making it affordable for another small business looking to start up. That whole process is a new one. Traditionally, the city’s licenses were unrestricted, meaning they weren’t confined to a specific neighborhood boundary. Think of the city’s big-time mainstays, like Cask ’n Flagon near Fenway, or a classic North End restaurant like Giacomo’s—their licenses, if purchased directly from the city, run the same price as restricted licenses, but then they belong to the restaurant or bar. If one of these establishments closes, the owner can profit off the license by selling it directly to another thirsty business. And so it went for nearly all of Boston’s booze history—until the restricted licenses fell into the city’s lap. “A lack of licenses has hindered further economic growth in our neighborhoods, supporting robust spaces where people want to live, work, shop, and eat. Because of this legislation, the City of Boston will have the ability to support small and local businesses in neighborhoods that historically have had less access to licenses,” Mayor Walsh said in a 2014 statement. The bill also returned local control to Boston, allowing the city’s licensing board to decide who would be granted any new permits. This shift made Walsh the first Boston mayor since 1906 to exercise authority over the process. In two years, five new establishments have secured liquor licenses in Roxbury, a neighborhood whose drinking and dining scene had hardly changed in more than two decades. 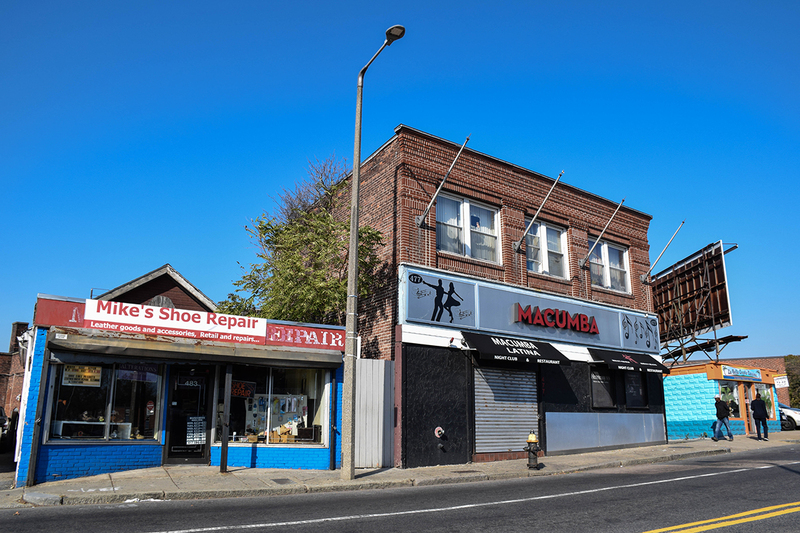 No businesses from Mattapan have applied for a neighborhood-specific license. Pressley says more must be done to support economic ventures there in order for new businesses to succeed. More than a dozen applicants put their names out at the start of September for five unrestricted licenses—the very last that could go to any restaurateur in Boston. 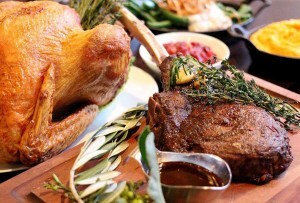 They have been designated for soon-to-be-built Third Rail in Roslindale; the Haven in Hyde Square in Jamaica Plain; the Boston Chops steakhouse slated to take over the shuttered nightclub Mantra downtown; Anoushella, a proposed South End restaurant serving Middle Eastern cuisine; and Paolo’s Trattoria in Charlestown. Each met a public need that the rejected establishments failed to meet, the licensing board said. In the beginning of November, City Council made another push asking for an additional 15 licenses specifically for the South Bay Plaza in Dorchester and the Seaport Square complex in the South Boston Waterfront. All of the councilors have signed onto the request, which will appear before the state. While the number of licenses available in Boston is laughably lacking, it hasn’t always been a make-or-break issue for new restaurants. A full, unrestricted license in Boston currently fetches between $350,000 and $390,000 in resale. Because of their high value, many owners see these purchases as long-term investments. But that might not be the case for much longer. Earlier this year, the state granted Somerville an additional 65 licenses to account for increased development and need in the city, which has left behind its days as “Slummerville” to become a hub for young professionals and families. That boost nearly doubled the city’s allotment, which had stood at 82 following an increase of 12 new licenses for the city, 10 of which were slated to grace the developing Assembly Square. Thus, the need to buy and sell licenses secondhand disappeared, since it’s easier—and cheaper—to acquire the new ones directly from the city, Newcomb says. 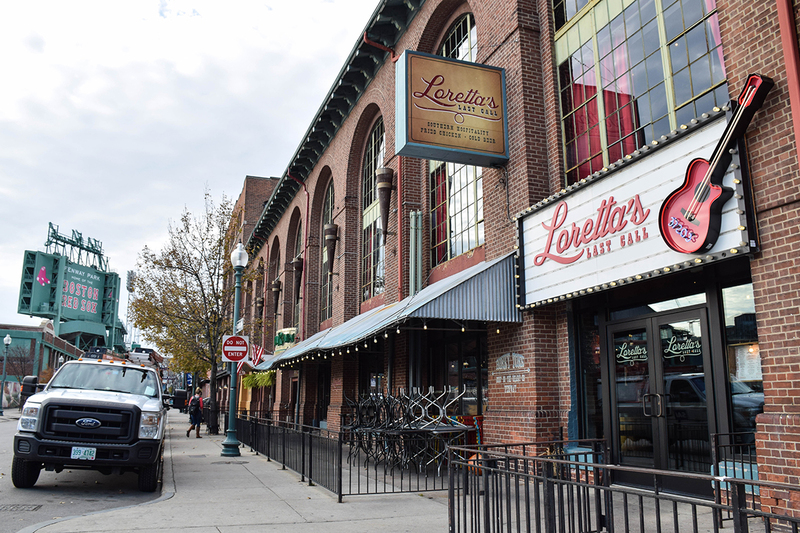 Somerville businesses that counted on cashing in on their licenses for upward of $225,000 stand to lose a hefty investment, according to Newcomb. “To change it without addressing the value that these people have on their licenses is not fair,” he says. And that’s also why some state legislators have held out on reform, sympathizing with the businesses that poured tens, sometimes hundreds, of thousands of dollars into securing what they saw as a lasting commodity. In July, it appeared that reform might be on the horizon, but just as the legislative session drew to a close, state lawmakers stripped a measure that would have given cities and towns the jurisdiction to decide how many liquor licenses could be awarded in their communities. The news came just as Boston was about to dish out the last of its additional unrestricted licenses, and for those seeking reform, the time to continue the push is now. While officials on both sides agree that it’s high time for change, they have conflicting views of how to go about fixing the problem. It’s ridiculous to let a legislator from Springfield have greater power over the number of licenses allotted to Boston than the city’s own councilors, but a complete overhaul of the system would drain millions of dollars from the pockets of those who currently hold unrestricted licenses. “I thought that was really a slippery slope to go down. We were really concerned with some businesses in our communities,” says Patrick O’Connor, a state senator from Weymouth who opposed the reform. Many business owners leverage their secondhand licenses as an asset, and expected them to hold a high value that increases over time. By eradicating the current system, the value of those licenses, and the business’s assets, would drop by more than $300,000 in their resale value. “I don’t think the solution is to render all those licenses valueless,” O’Connor says. Booze is no longer the taboo issue it once was, and both former Governor Deval Patrick and Governor Charlie Baker have spoken up for local control. Today, the issue isn’t a regional or partisan one, but a tangled mess left behind by long-gone legislators who sought to wrestle control—and pints—out of the hands of the people. I’m very encouraged, but I’m not yet satisfied. We can’t undo 100 years of hurt in two and a half years. Taking steps to reform the system will likely prove tough for officials to navigate, as a push for more licenses and economic development could mean turning their backs on those who have been in business the longest. Without a clear answer to a government-created problem, the road ahead could be a slow one. Boston can’t become New York overnight—and it’s doubtful anyone here would want to trade our city’s historic charm for the chaos and crowded streets of the Big Apple. But what reform can do is give us a little more freedom, and a few more options, while making some of the city’s disenfranchised neighborhoods more attractive and bringing money to local business owners.